Nicki Minaj has dropped the video for her latest single "Bed" - with a little help from frequent collaborator Ariana Grande. 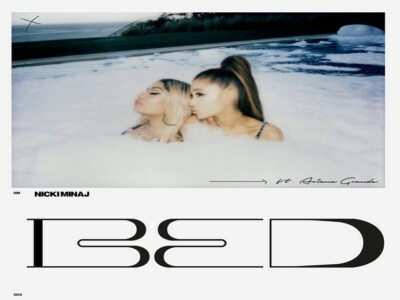 “Bed” is the second single released from Nicki Minaj’s upcoming fourth studio album, Queen. The song features longtime friend Ariana Grande, and enters their growing list of collaborations which includes “Bang Bang”, “Get on Your Knees”, “Side to Side” and “The Light Is Coming”, from Ariana’s upcoming album Sweetener.